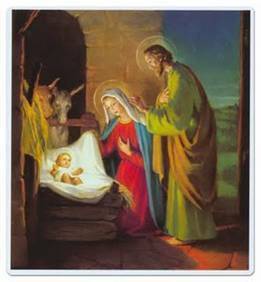 “For today in the city of David a savior has been born for you who is Messiah and Lord”. As we approach the end of the year, we have so many things to be thankful for: our family and friends and the fact that we are still Americans! Let us continue to praise God the Almighty for all his favors and to give us the strength and courage we may need to meet the challenges of 2011. Our troops deserve a special prayer from us that they come home safe to their loved ones. Again thank you all for the hard work you have done in helping to turn our Nation’s path! With the Christmas season upon us we should take time out to be with our families and those that mean so much in our daily lives. Our grandchildren are arriving from out of town and we want to spend time with them, so when they have Christmas in their homes one day, they will have memories to cherish.